Established in May 1990, now Trimegah Securities is more than just one of the largest and fully integrated securities companies in Indonesia. 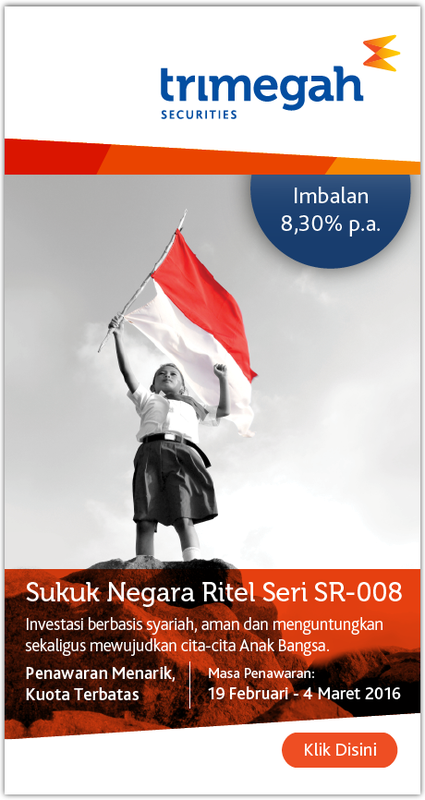 It is admittedly one of the most trusted securities companies in Indonesia. All of our products and services are served through 14 branch offices in 12 major cities throughout Indonesia. If you seek comprehensive and reliable financial services, we at Trimegah Securities are ready to help. For years Trimegah Securities has been continuously providing the best financial products and services. Our Research Division is committed to delivering accurate and timely analysis of the equity & debt markets as well as economics, in order to fulfill the investment needs of retail and institutional clients. In the midst of pursuing success, sometimes you miss some important investment moments. Now, you do not need to miss this valuable opportunity anymore. iTrimegah is ready to facilitate your stock transactions. We invite you to grow with us, joining our various trainings, development programs and career challenges, in a dynamic organization. Please drop your resume here and be part of our excellent team !